Uveal melanoma is the most common malignant ocular tumor in adults. Metastasis results in the high mortality rate after recovery or removal of the primary tumor. Dr. Yang’s research interests are the control of metastatic melanoma from the eye to the liver with anti-angiogenesis and immune modulation therapies and understanding of the mechanisms of metastatic disease and exploration of targeted therapy based on biomarkers for primary and metastatic uveal melanoma. 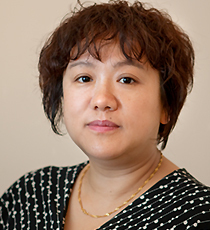 Dr. Yang's previous research positions include: associate professor, Department of Ophthalmology, First People’s Hospital of Shanghai and associate director in the Eye Institute of Shanghai, 1996-2004.